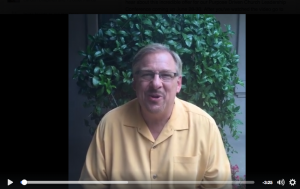 In case you thought Rick Warren was fading into the background giving the New Apostolic Reformation the spotlight, think again. While the NAR “apostles” target youth ripe for revival, Warren is back in the saddle targeting pastors around the globe for his one-world P.E.A.C.E. Plan. For the first time in almost a decade, Saddleback pastor Rick Warren is bringing back his Purpose Driven Conference for pastors and leaders, and inviting a worldwide audience to stream it online (for a mere $199). The conference takes place at his Lake Forest, California church on June 28 – 30. But the question is, influence them to do what? That’s what the Bible says. Let’s take a few minutes to look at the event, what Warren says about it, and then some concerns about the pattern of influence he has had on the visible church. 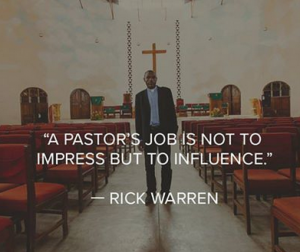 In a promotional video, Warren says this is the most influential conference in existence, and that he has been teaching millions of pastors, leaders and congregants around the world to build processes and paradigms for growth. The key to keep growing is to be fast, fluid and flexible. It’s an excellent film to watch with your small group, church leaders and family members.